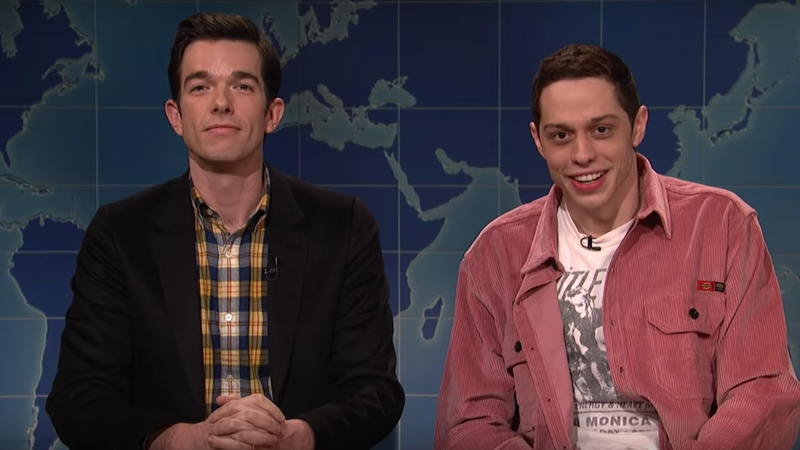 In his first Weekend Update appearance since December’s alarming Instagram post, Pete Davidson joked that he’d had “a crazy month.” But in a segment featuring former SNL writer John Mulaney, Davidson seemed ready to be back. The segment is ostensibly to review Clint Eastwood’s The Mule, but it really serves to acknowledge what happened in December in a way that’s both silly and serious. The moment when Mulaney tells Davidson that we’re glad he’s still with us seemed like a sweet, genuine, and perhaps necessary way to acknowledge what happened in December and move forward, even if Davidson’s joke “came close to derailing his comeback,” as Vanity Fair notes.